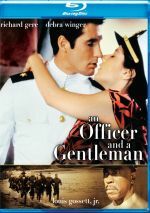 A high school swim champion with a troubled past enrolls in the US Coast Guard's "A" School, where legendary rescue swimmer Ben Randall teaches him some hard lessons about loss, love, and self-sacrifice. What’s worse – a movie that seems bland for its first two acts but ends well, or a flick that’s pretty interesting much of the way but that collapses badly in its finale? I suppose that depends on the film, but today I’d go with the second option. Though 2006’s The Guardian largely keeps us entertained for its first 90 minutes or so, it squanders any goodwill during its last act. 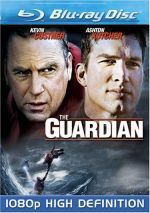 The Guardian introduces us to Coast Guard rescue diver Ben Randall (Kevin Costner). A legend in the force, he needs a break from active duty after a mission that nearly kills him. Ben gets assigned to a training position and he works with a class of new recruits. This group includes hotshot swimmer Jake Fischer (Ashton Kutcher). Cocky and arrogant, Jake plans to break all of Ben’s records and establish himself as the greatest diver of all. The movie depicts their ups and downs as they go through Jake’s training. Note that my discussion of Guardian will include some spoilers. If you’d like to avoid those, jump ahead to the part of the review that looks at the disc’s technical attributes. I don’t want to overstate the movie’s charms during its initial segments, but it works pretty well. Sure, it’s tremendously derivative, as you’ll get plenty of reminders of Top Gun and An Officer and a Gentleman throughout the flick as we see the tensions between Ben and Jake. There’s no originality on display as we see the strained relationship between the mentor and his pupil. “Derivative” doesn’t necessarily mean “bad”, however, and the first two acts of Guardian prove perfectly entertaining. The flick opens well with a couple of very exciting action sequences, and the training of Jake and his class is just interesting enough to keep us involved. You won’t find anything revelatory on display, but you’ll probably have a good time with the material. And then we come to the ending – or endings, I should say. Not since The Lord of the Rings: The Return of the King has a movie featured so many conclusions. Just when you think Guardian is done – bam! Another scene! The film just doesn’t know when to quit. We find many potentially acceptable finishes, but the story refuses to take any of them. It just keeps going and going and going. This means that Guardian is much too long, and it continues well past the point of acceptability. Let this flick clock in around 100 to 110 minutes and it offers an enjoyable little action drama. Let it run 139 minutes and it turns into a bloated, tedious piece of melodrama. I could better forgive the movie’s excessive length if the multiple endings worked better. Unfortunately, they get worse and worse as they continue. I think the flick should end after Jake’s graduation, then give us a quick scene after that to wrap up the characters and we’re good. But Guardian decides it needs to show Jake on the job. Fine – go through the exercise with him and Ben and finish it there. Use Ben’s lack of nerve as a life lesson, send him back to his wife and let us leave the theater. Of course, that doesn’t end matters, so when Jake gets trapped on a rescue, Ben comes to help. Great – allow Ben to redeem himself with one last triumph and end the misery. God help us, the flick just keeps going. After Ben saves Jake, he sacrifices himself again when the line that pulls them to the helicopter frays. Not only does this scene still fail to conclude matters – another ending or two remain – but also it gives us unsatisfying character development. Look, I don’t mind downbeat endings. I loved the emotional finish of Titanic, and since I count Se7en as one of my all-time favorites, I obviously don’t object to unhappy finishes. If a movie requires a dark or sad conclusion, that’s more than fine with me. Unfortunately, Guardian doesn’t need an ending like that. In fact, it’s the kind of movie that really should give us a happy finish. For bizarre reasons I can’t comprehend, it chooses to kill off its main character. I guess it does so for a cheap emotional kick, but it doesn’t work. Instead, Ben’s death leaves the viewer – or at least this viewer – angry. That’s not because I feel a great attachment to Ben and I’m upset that he kicks. No, his demise bothers me because it’s crummy filmmaking. Maybe I’d care less if I’d not been stuck with the 74 prior endings – these push patience – and I’d have been more willing to accept this bad choice. However, my great desire to see the flick finally stop gets compounded with the idiotic nature of the ending to make things worse. Boy, I can’t remember the last time I felt so angry at the finish of a movie. As I left the theater, I ranted and raved at my date about the filmmakers’ stupidity. At least the film provoked an emotional reaction from me - I usually just say “it was okay” when I depart the theater. The Guardian had me in “it was okay” mode for its first 100 or so minutes. Those multiple endings totally squandered the right to mediocrity, and the extremely poor choice for its ultimate finish left me irate. This is a professionally made film that occasionally entertains. Unfortunately, too many endings and some idiotic decisions squandered my goodwill and made me actively dislike the flick. The movie abuses the viewer with bad choices. The Guardian appears in an aspect ratio of approximately 1.85:1 on this Blu-ray Disc. The disc presented an erratic but mostly satisfying transfer. Sharpness usually worked well, but some exceptions occurred. While most of the movie offered nice delineation, a few shots came across as oddly soft and unfocused. Moderate edge haloes didn’t help this situation. Jagged edges and shimmering failed to materialize, and I saw no signs of source defects. Guardian went with a fairly standard orange and teal palette, with an emphasis on blue-green. Within those constraints, the hues seemed accurate and well developed. Blacks were dark and tight, while shadows offered good clarity and delineation. Other than the occasional bout of softness and some edge haloes, this became a reasonably good presentation. Even better material came from the Uncompressed PCM 5.1 soundtrack of The Guardian. The movie’s many action sequences offered great opportunities for involving audio, and the mix didn’t disappoint. Waves roared and crashed around us while helicopters zoomed. The track used all five channels to excellent effect and consistently impressed. Quieter scenes worked well too, as they showed nice involvement, but it was the more active pieces that made this an “A-“ mix. Audio quality demonstrated strong support. Speech was natural and concise, with no edginess or other problems. The score sounded bright and bold, and effects demonstrated terrific range and clarity. They showed crisp highs and deep bass. I found nothing about which to complain during this excellent soundtrack. How did the Blu-ray compare to the original DVD? Audio showed more range and punch, while visuals were tighter and more accurate. Both clearly came from the same transfer, so though the format’s higher resolution made the image’s flaws more evident, the Blu-ray still surpassed the DVD. The Blu-ray mixes old and new extras, and we open with an audio commentary from director Andrew Davis and screenwriter Ron L. Brinkerhoff. Both sit together for a running, screen-specific chat. They discuss script and story, cast and performances, sets, locations and water tanks, visual effects and filming at sea, research, realism and liberties, and other production basics. At all times, the men offer a more than competent chat, and they dig into the expected notes. While I can’t find anything worthy of criticism in the commentary, I also can’t cite any elements that make it noteworthy. The track does what it needs to do and nothing more. Davis and Brinkerhoff provide a decent exploration of their film, but they never give this commentary a level of insight or verve that would turn the conversation into something memorable. Four Deleted Scenes and an Alternate Ending appear. We find “Randall and Skinner Square Off” (1:47), “Jake and Emily at the Laundromat” (2:01), “Lindsey Is Reassigned” (1:26) and “Jake Visits Emily At School” (1:51). The “Alternate Ending” lasts three minutes, seven seconds. Of the four cut sequences, only “Reassigned” seems interesting, mainly because it lets us know what happened to the Lindsey character. The others are superfluous and dull. I won’t relate what happens in the “Alternate Ending”, but if you’ve seen the final flick, you can probably guess. It’s predictable and perhaps superior to the ending that shows up in the movie. I don’t know – I don’t like the way the theatrical release finishes, but then again, this clip does seem lame. We can watch the deleted scenes with or without commentary from Davis and Brinkerhoff. The “Alternate Ending” lacks commentary but comes with an intro from Davis; he gives us similar notes for it. The information proves useful as we learn about the cut scenes and find some nice details. The Guardian: Making Waves fills 11 minutes, six seconds. We hear from Davis, producer Tripp Vinson, 2nd unit director Ronald Hersey, US Coast Guard consultant Jeff Loftus, USCG rescue swimmers/film advisors Bob Watson and Joseph “Butch” Flythe, USCG rescue swimmer trainees Eric Stoecker and Matt Schmidt, production designer Maher Ahmad, executive producer Peter MacGregor-Scott, visual effects supervisor William Mesa, stunt coordinator Alex Daniels, and actors Kevin Costner, Ashton Kutcher, Brian Geraghty, Clancy Brown, Sela Ward and Melissa Sagemiller. “Waves” looks at research and authenticity, locations, sets and shooting the water sequences, actor training, cast and performances, Davis’s impact on the production, stunts, and hopes for the flick. Should you expect “Waves” to come across as anything other than breathless and promotional? No, not really. Some decent shots from the set appear, and we learn a little about various production issues. However, the show remains superficial and never acts as a very interesting program. Unsung Heroes: So Others May Live goes for five minutes, 36 seconds, and includes comments from Davis, Costner, Kutcher, Brown, Flythe, Watson, USCG helicopter pilots Ally Schuler, Nevada Smith, and Dan Molthen, USCG rescue swimmers Tom Bolen, Sara Faulkner and John Hall, and Watson’s daughters Katelyn and Sydney. “Heroes” looks at actual Coast Guard rescue work. We see some video footage of their endeavors and hear remarks about their various attempts. There’s also a more specific focus on Hurricane Katrina. This is a valuable topic and it could’ve been a fascinating program, but unfortunately “Heroes” doesn’t become that show. It throws out the expected praise and sentiment but fails to turn into something substantial. In essence, it’s another promo for the flick, so don’t anticipate a strong piece. New to the Blu-ray, Filmmaker Q&A offers an interactive feature. With this activated, the viewer can “ask” the filmmakers various questions throughout the movie. The disc offers a menu of 48 questions across five domains. Some others pop up periodically at the top of the screen. In theory this sounds like fun, but in execution, it fares less well. The “pop-up” items worked fine for me, as I could activate them, but whenever I clicked on any of the 48 “main” questions, I just saw a “Loading” icon and that was that. Apparently the answers should materialize via audio, but at least on my player, they don’t. If you can get “Q&A” to work, you might enjoy it, but I can’t offer detailed thoughts about it because I couldn’t make it function correctly. Note: reviews I found from 2007 – when this Blu-ray first hit shelves – indicate that the “Q&A” only worked on PS3s or PCs with BD drives. I don’t know if that was always supposed to be the case or if post-2007 Blu-ray players would be able to make the “Q&A” work, but it may explain why I can’t get it to function. It does seem weird to offer a feature that won’t be accessible to most viewers, though. The disc opens with ads for The Prestige and Invincible. No trailer for Guardian appears here. Despite its predictable nature and a “been there, done that” feel to the story, The Guardian manages to entertain – for a while. Unfortunately, the movie takes some serious wrong turns and runs way too long, factors make it badly flawed in the end. The Blu-ray brings us erratic but mostly good visuals as well as excellent audio and a decent set of bonus materials. This becomes a largely positive release for a frustrating film.